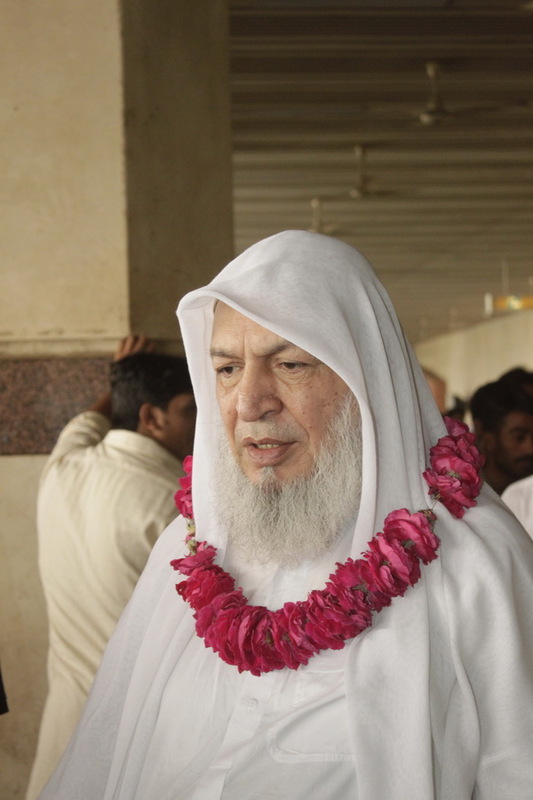 Today on Monday 7th May 2012, His Holiness Haji Ghulam Haider Qadri went for Umrah for 14 days. It is special blessings of Almighty Allah and the most beloved Holy Prophet (Peace and Blessings Be Upon Him) upon His Holiness that he goes for Umrah every year. This year he and his 41 followers departed from Lahore Allama Iqbal International Airport at 5:30 PM (PST) to pay homage and to perform minor pilgrimage to Mecca Pak and Madina Pak. All the pilgrims were very happy while some other followers were both happy and sad. Since they could not go with their beloved Lord to pay homage at the hermitage of the most Beloved Holy Prophet Muhammad (Peace and Blessings Be Upon Him) therefore, they were in grief condition. This spiritual caravan will be back on Monday 21st May 2012 after 14 days.